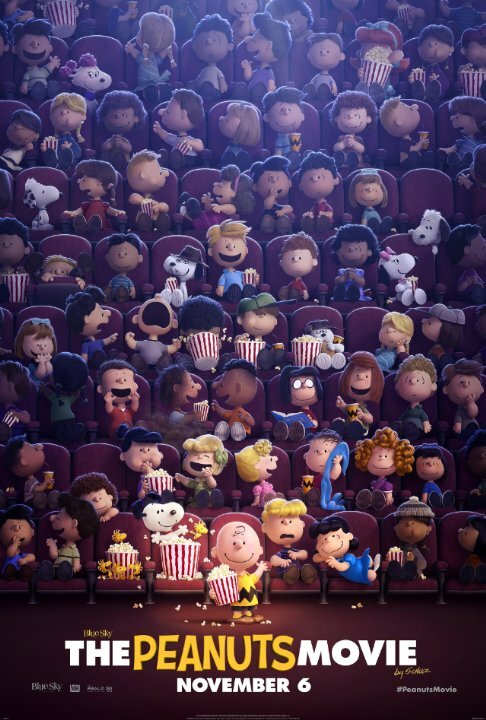 Charlie Brown, Snoopy, Lucy, and the rest of the “Peanuts” gang are gearing up for their big-screen debut and they’re making their grand entrance in state of the art 3D animation! Charlie Brown, the world’s most beloved underdog, embarks upon an epic quest, all while trying to win the affection of the Little Red-Haired Girl. Meanwhile, his best pal, the lovable beagle Snoopy goes up against his nemesis the Red Baron. Taken from the imagination of one of the mot influential cartoonists of all time, Charles M. Schulz, The Peanuts Movie will encourage your entire household to Dream Big. 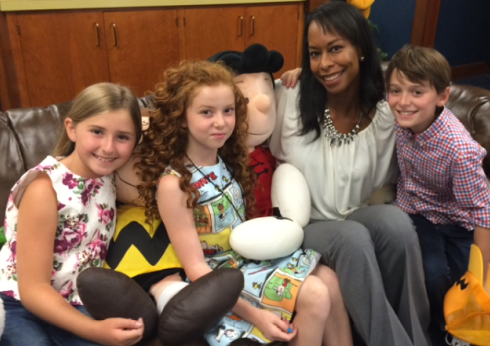 We met and spoke with some of the stars of the film: Noah Schnapp (Charlie Brown), Hadley Belle Miller (Lucy), Mar Mar (Franklin), and Francesca Capaldi (The Little Red-Haired Girl). 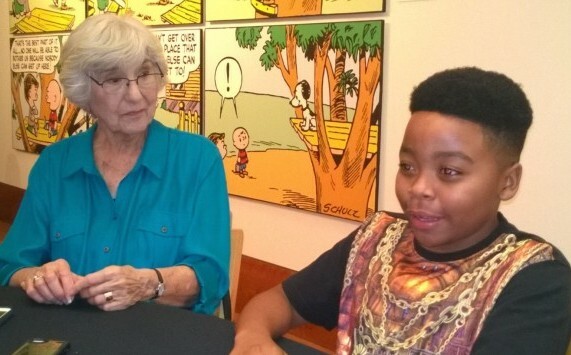 These gifted young actors haven’t hit their teens, yet the Peanuts legacy was near and dear to their hearts. “I knew a lot about Peanuts, my family always watches the holiday specials and I love Snoopy, I think he’s adorable,” Capaldi tells Tinseltown Mom. And although the actors weren’t able to physically perform with their counterparts the voice-over work didn’t seem to bother them. In fact, there was less pressure. Because of the secret nature of the material, the performers didn’t get their scripts until rehearsals began so the stress of having to memorize lines was not there, plus forgoing the hair and makeup chair was an added benefit. It seemed a great fit for the stars. “…It wasn’t really hard because I was with the director and he feeds you the other people’s lines so it’s kind of like you’re with someone else,” Miller explains. “Steve (the director) is very helpful and helps us get the emotions that our character’s are supposed to be feeling at that time and he helps us decide how to say it and how to enunciate,” she continues. Miller also commented on how well the cast got along with one another once they finally met in person, and from watching the interaction between them the chemistry was obvious. Noah Schnapp hasn’t been acting professionally for very long yet he was able to snag the role of the coveted Charlie Brown. He talked about how he brought his unique voice to the character. “When I auditioned I used my own voice… When they told me I was going to start doing scratch recordings then I started listening and watching episodes of the original Charlie Brown and then I heard that and had the range, but I still used my own voice,” Schnapp recalls. Although differences in the film will be apparent, when we interviewed the filmmakers earlier this year one of the producers, Craig Schulz, made it clear that The Peanuts Movie stays true to the original genius of his late father, Charles Schulz, however there were a few highlights to some of the characters that will make the movie even more appealing. “The Little Red Haired Girl has never spoken before so I got to make her voice… that was really cool; she’s never spoken so to me it seemed like she was new even though she’s been in so many strips and in movies,” Capaldi proudly remarks. Another noteworthy role was Franklin, played by Mar Mar. Franklin was first introduced in 1968, and is the first African-American character in the strip. 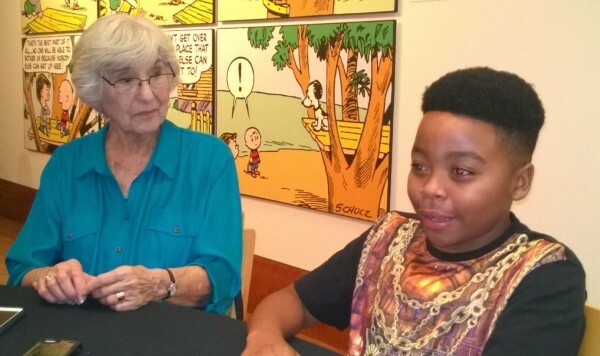 A Los Angeles schoolteacher named Harriet Glickman wrote to Schulz in the spring of 1968, urging him to introduce a black character into Peanuts. Several correspondences were exchanged between Schulz and Glickman that led to the creation of Franklin. It was an honor to speak with Glickman and Mar Mar, and see their special connection in person, and Mar Mar summed up what the audience could expect to see from his character quite nicely. The Peanuts Movie, which will commemorate the 65th anniversary of the comic strip, is scheduled to be released on November 6, 2015. It would be so fun to be a voice actor! – especially at that age. How fun and good for them! I can’t wait to see this movie! Thank you for sharing! That is so exciting!! My family met Jim Cummings one time…the guy who does ‘Winnie the Pooh’ and ‘Tigger’ voice (and many more!!) He broke into Tigger’s voice and the kids eyes grow so wide from amazement. He signed my daughter’s baby blanket…so sweet!